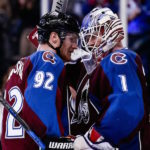 As the preseason comes to a close, hosts J.J. Jerez and Zach Fogg break down what they expect the final Avalanche roster to look like, and evaluate them in all three facets: defense, forwards and goaltending. 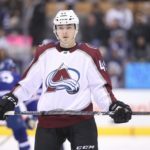 After sitting out of Games 2 and 3, defenseman Sam Girard will also miss Game 4 as a result of an upper-body injury. Losing to the Wild 4-0 over the weekend was devastating, but there's still hope yet. 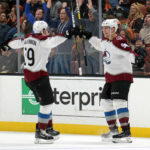 The Avalanche score seven goals from seven different players in a rout. 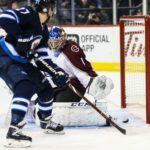 The Colorado Avalanche lose to Winnipeg for the first time this season in Semyon Varlamov's return from injury. Happy birthday Super Joe, how’d you like some apples?